The number of children diagnosed with Autism Spectrum Disorder (ASD) has increased dramatically. Between 1970-1980 only 1 in 2000 children were diagnosed with ASD. In 2014, the Center for Disease Control and Prevention (CDC), released new data identifying that 1 in 68 children have Autism Spectrum Disorder. Autism Spectrum Disorder (ASD) is a neurological and developmental disorder, that affect’s an individuals ability to communicate and interact with others. It is called a “spectrum” disorder because individuals with ASD can have a range of symptoms. A diagnosis of ASD now includes several conditions that used to be diagnosed individually: autistic disorder, pervasive developmental disorder not otherwise specified (PDD-NOS), and Asperger syndrome. These conditions are now called Autism Spectrum Disorder. Children with autism may show one or several of the following characteristics; problems with social interactions, unusual interest in objects, repeated actions or body movements, sensory sensitivities and unusual emotional reactions and expressions. Dental providers must therefore be trained and willing to go the extra mile to give a child with autism a good experience. Children with autism do not show any difference in their dental presentation compared to other children. The main difference seen in the dental setting is the flow and management of the appointment. Patients with autism may exhibit great anxiety during the initial dental visit and later visits due to their fear of the unknown and their inability to communicate this fear. 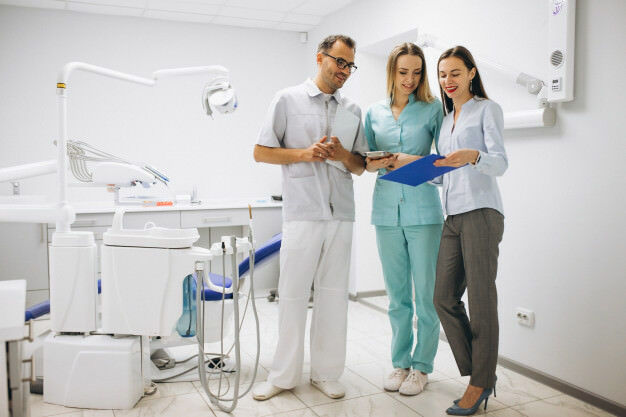 There are a number of behavior management techniques that can be used by a pediatric dentist to help alleviate these fears. Use social stories prior to the patient’s visit. Social stories, give a person information about social situations they find difficult or confusing. They are a strength-based teaching strategy, which builds on natural skills and behaviors. Our staff here at Joyful Smiles Pediatric Dentistry is well trained and enjoys working with children who have special health care needs. Call 708-794-9526 us today to schedule an appointment. Children will probably see their pediatrician in the first year of life more than they do any other time. It is just as important that a child see’s a pediatric dentist before the age of one or as soon as the first tooth erupts. A survey conducted on infant oral health care awareness by the American Academy of Pediatric Dentist, found that 97% of their respondents were unaware that their children should see a pediatric dentist before the age of one, leaving these infants at a potential risk for cavity development. Tooth decay can develop as early as six months when the first tooth erupts in the mouth. Left untreated, tooth decay can progress rapidly and lead to pain and suffering, infection, long term effects on the child’s health and well-being, and increased cost. Research shows that children who visit the dentist before the age of one are more likely to return for routine dental cleanings alone and less likely for fillings, or other restorative care. The first dental visit is the most important dental visit as it helps to establish a healthy smile for a lifetime! What to expect at your infant’s first dental visit? The preliminary interview is completed to help aid in determining the child’s caries risk. 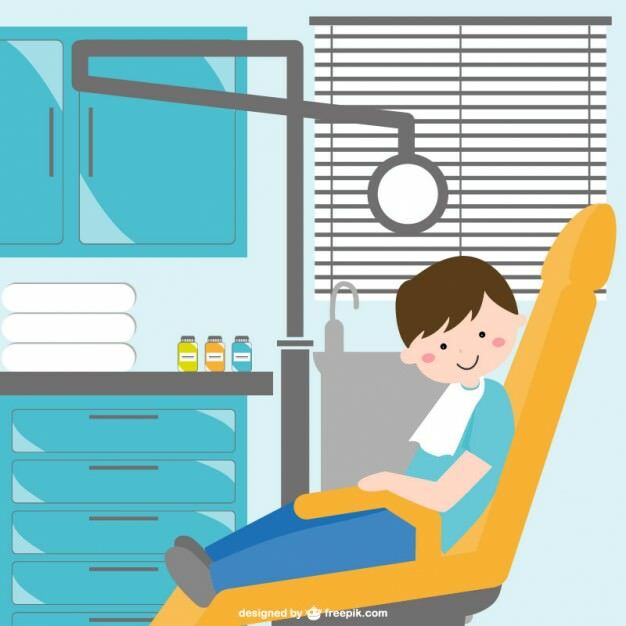 It involves a discussion between the pediatric dentist and the parent(s) about the attitudes, behaviors and beliefs concerning the child’s oral care. The pediatric dentist may ask questions about the availability of fluoridated water in your community, use of fluoridate toothpaste, history of dental disease of both the child and parent(s) and feeding habits and diet. A gentle examination of your child’s mouth will be completed. The pediatric dentist will exam for the number of teeth present and the presence of any abnormal pathology. The pediatric dentist will use a toothbrush to complete your child’s cleaning. Using a toothbrush allows the dentist to demonstrate how brushing should be performed at home. It also allows the dentist to illustrate how much fluoride toothpaste should be used for brushing. The American Academy of Pediatric Dentistry recommends a smear size amount of fluoride toothpaste for children under three years of age and a pea size amount of fluoride toothpaste for children 3 to 6. Fluoride is a natural mineral that helps to prevent caries. Fluoride is absorbed in the outer enamel layer of the tooth and helps to replenish lost calcium and phosphorous to help keep the teeth hard. The pediatric dentist will dry your child’s teeth with gauze and apply a fluoride varnish. Use of fluoride varnish reduces caries by 40-50%. One of the biggest advantages of fluoride varnish is your child can eat and drink right after its application. If you have not scheduled your child’s first dental visit, please Call us @ +1 708-794-9526 today!